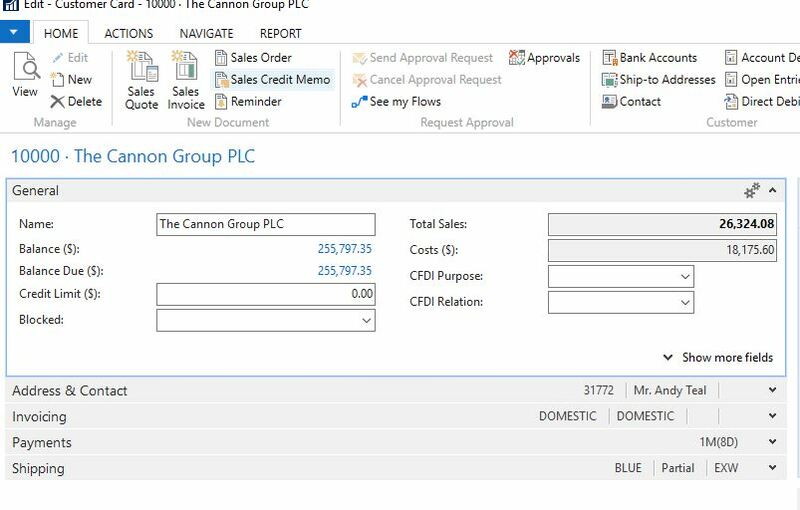 If you’ve recently upgraded to Dynamics NAV 2017 or later versions, you will have undoubtedly noticed that the new version of Dynamics NAV (or Dynamics 365 Business Central) is incredibly slow… It’s so slow that it took one of our customers that’s using NAV 2017 3 minutes and 38 seconds to open a customer card. Yes, the customer really measured this. And yes, before they upgraded, opening the customer card is instant. Note that this blog will include Dynamics 365 Business Central as I didn’t see them improving the standard codebase in the release. EDIT: Microsoft has released a fix in their monthly Cumulative updates to address the performance problem. Ask your NAV partner to implement these hotfixes for you if you’re still encountering issues with poor performance. 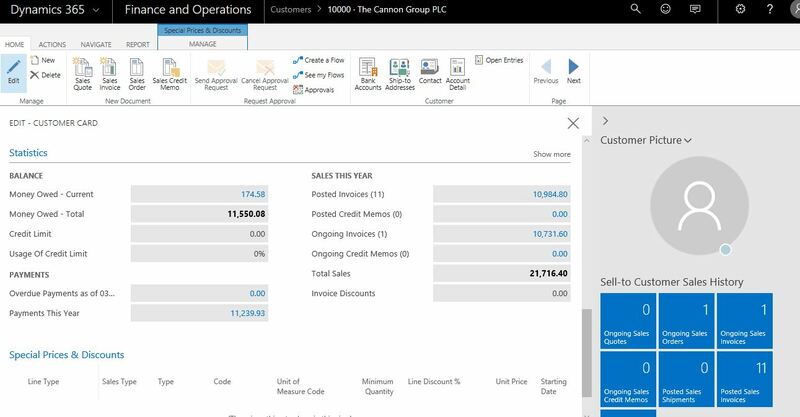 The problem is all the eye candy that Microsoft tries to implement into Dynamics 365 Business Central that caters to the small/micro businesses, or at least make the demo of the product irresistible. For some odd and strange reason, Microsoft strongly believes the same customers that currently using Dynamics NAV are the same ones that are going to be using Dynamics 365 Business Central. I’m not sure how we can tell Microsoft that this is not the case. They firmly believe they know the customer better than the channel. Let’s take a look customer card in our example and let’s see why it’s so slow. Note that this is one of many screens in the software that has performance problems. I’m just highlighting this page for the purpose of this article. Charts and Graphs to display data visually. Why? Because it’s pretty. Looks great right? You have a really quick statistics of how the customer info. And when you navigate around in the demo environment, it’s fast. This is the screen if you use the Dynamics NAV (Dynamics 365 Business Central) on any rendition other than from the signup in the Office 365 Admin Console. If you looked closely, you’ll notice that the Statistics FastTab is missing. 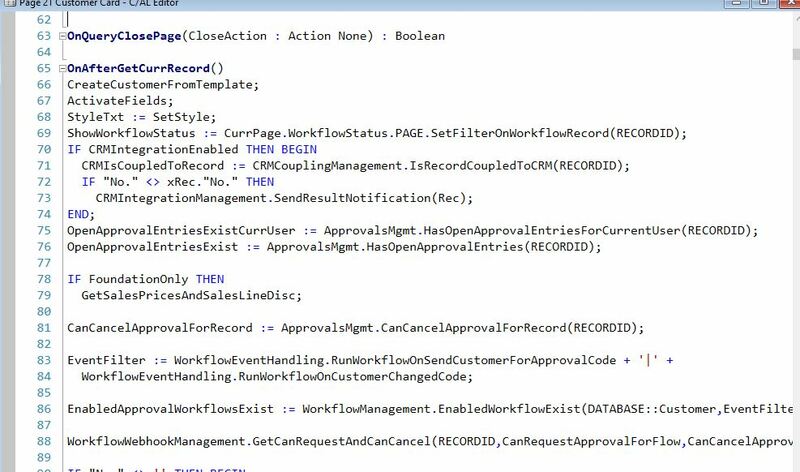 Apparently, in order to keep Dynamics NAV and Dynamics 365 Business Central on the same codebase, Microsoft just hid whatever is not applicable. There’s a problem with that… When you just hide the control, it doesn’t really prevent the code from running. If you look at the customer card in the Development Environment, you will see the Statistics FastTab has the Visibility function set to FoundationOnly. The toggle for setting this is nowhere to be found if you’re not using Dynamics 365 Business Central accessed from Office 365 Admin console. The problem is the code is written in the worst way possible with no regards for optimization. It’s doing calculation on massive amounts of data with every time you click on something on the customer card. Good for small datasets (<1000 records), problem if you actually use the software to manage your business. This means any time a user does something on the page, it’ll run this calculation, over and over and over and over again. Think about your customers that has a 50 GB database, worst, you’ll notice a slowdown with customers running a 1GB database. One would think the simple fix is to just remove the controls from the page. Wrong… The cause of the slowdown is not on the display itself (although the Dynamic Control does slows down performance), it’s the code that’s running in the background. The code you need to take out is in the triggers of the page. Removing code on the OnAfterGetRecord and OnAfterGetCurrRecord triggers dramatically improves the performance of the customer card. Note there are a lot of other things we have to remove from the customer card to make the performance acceptable for the end user. But I will stop here for now. So how do you do this when we’re going into the Extension world? Extensions will NOT allow you to remove base code, so you’re stuck with whatever crap Microsoft stuffs in there. Tested or not. Looking at the amount of code in the customer page, I’m actually shocked on how all of this got past Quality Control at Microsoft. Whoever thought it was a good idea to do a lot of rendering and processing at the page level? You’re asking for performance problems when you’re rendering a large amount of data. This was one of the first thing they taught us at the Navision development class back in 1999; don’t put code on forms/pages. This article is just focusing on a single page, the customer card. If you look at Sales Order page, another one of the pages that a lot of companies access frequently, it has the same types of problems: too much code on the pages. Again, a lot of what they stuff in there is nice for demo environment with small datasets. You’ll notice performance problems real quick as your data set increases. Perhaps this is an opportunity for developers like us to publish an Extension on AppSource. Basically redo NAV pages so people can actually use it.